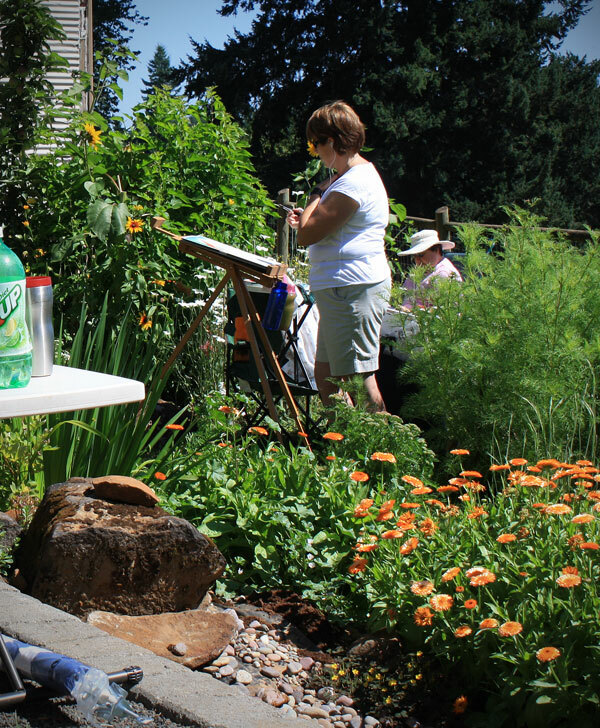 What happens when a group of artists show up in your garden on a bright sunny summer morning? You get plenty of fun comparing and sharing ideas, companionship, painting time, plus at the end of the day you get to see some pretty awesome artwork. When Susan Spears, mentor, friend and award winning artist, asked to bring her outdoor painting class for a day of plein aire painting at our Victorhill Farm, I could hardly wait! waterfall, hillside vineyards, garden centers and rose gardens. Susan is one of the nicest people I know. When we get together it almost fails that at some point we will end up giggling about some silly little thing that we did or said. She is a talented patient teacher who is eager to help her students become accomplished artists. Here's a perfect example of why we laugh out loud when we get together. The three of us, Susan, Carole, and I are posing for a photo during lunch. Susan has a banana in her hand and we tell her we can't have that banana in our photo. So she hides it behind her back and silly us we can't stop laughing. 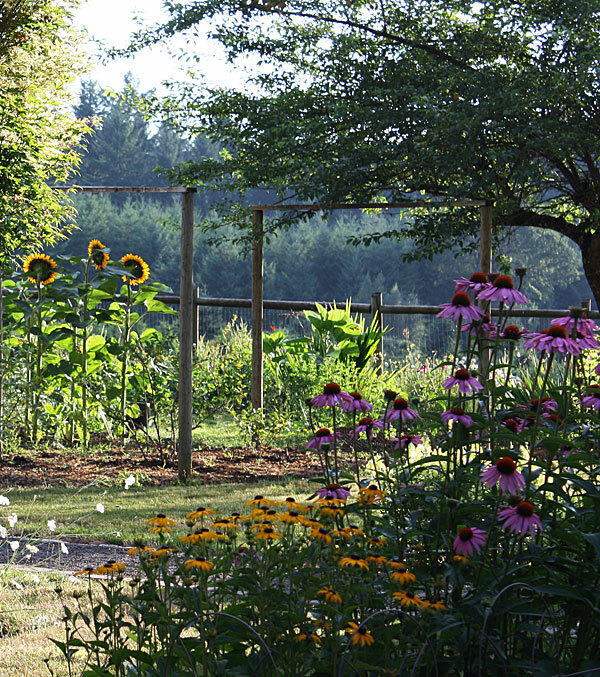 Artists painting amongst the cut flower garden and sunflowers. At the end of the day about half the painters had something to show. Pretty awesome! By the way, the sunflower on the table is my little painting.